Whether you are looking to simplify your life, protect your vehicle, or impress your friends, there is an ideal accessory waiting to be installed on your vehicle. 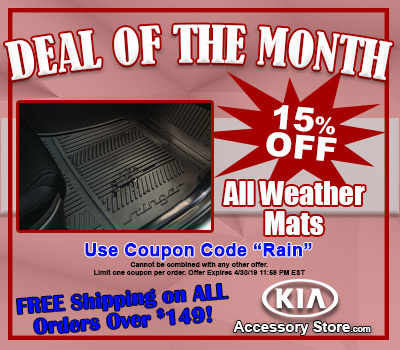 Contact Kia Accessory Store and ask which Kia Genuine Accessories are available for your specific model and year. 1-800-509-2652.